Yep, you read the title right: another episode title has been revealed thanks to sleuthing from GeorgeQGreg. Not just this one but 4 others we'll be posting every 30 minutes since we want to give you guys time to discuss the possibilities of each. Given his track record so far I think we can say these are pretty accurate given the sources we have to check them by. Besides the titles it looks like Treehouse is continuing the two episodes a weekend trend all the way through June and it really is looking like we might have the season done with sometime in July. 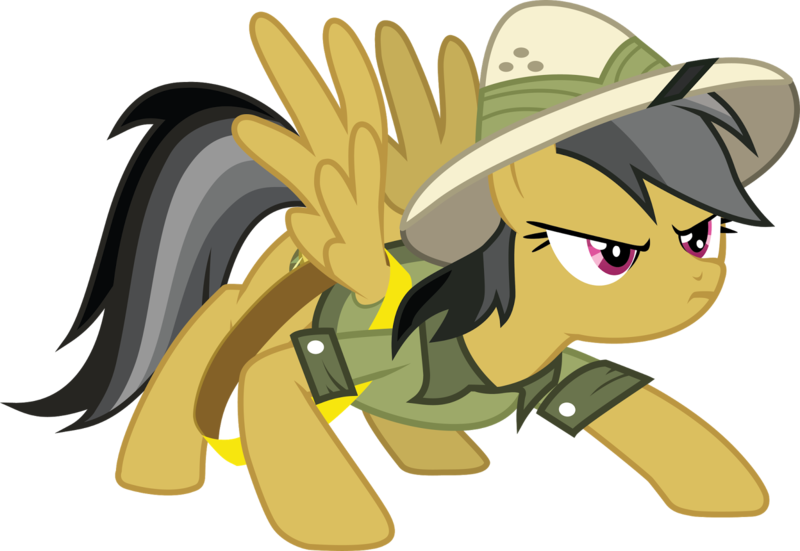 Anyhow, episode 18 appears to be called "Daring Done" and will air on June 11th so expect some more Daring Do in the future! For all season 7 titles, head over to the Episode Announcement tag!